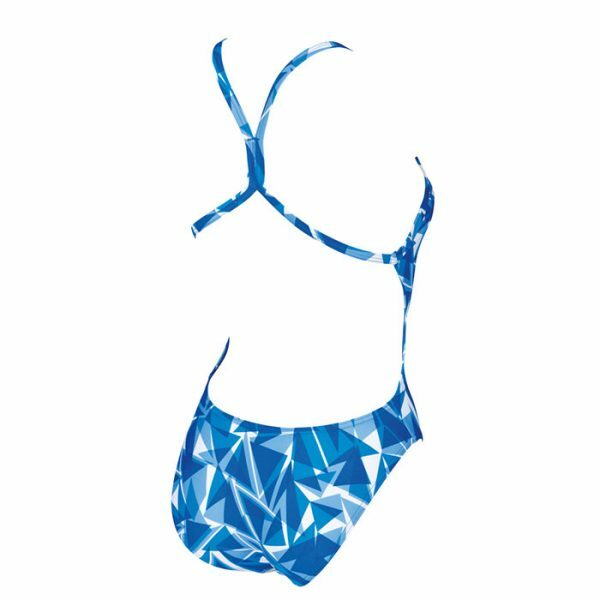 The Arena women’s Shattered is a striking swimsuit with an all over pattern. 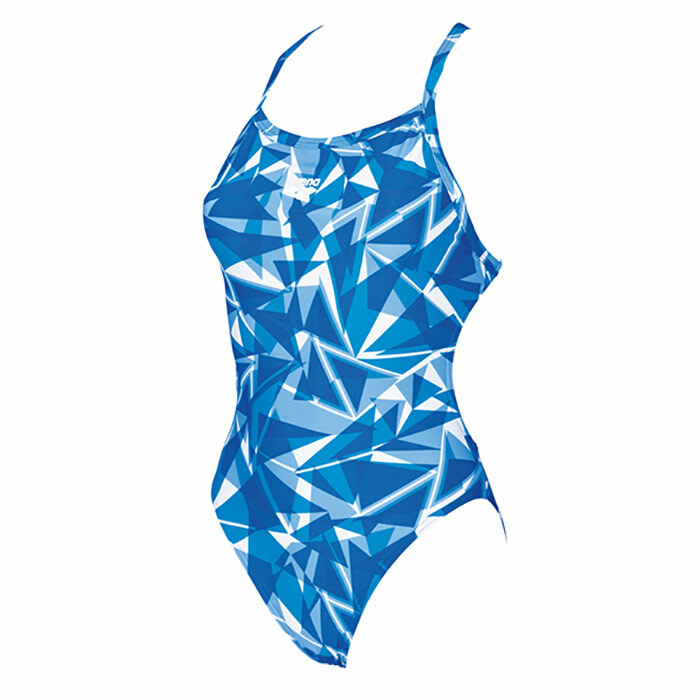 It’s jazzy design is stylish and eye catching and is available in black or blue! It is manufactured from MaxLife material for long lasting performance and comfort. It is chlorine and abrasion resistant and guarantees a suit which is soft to the touch and provides a perfect fit. 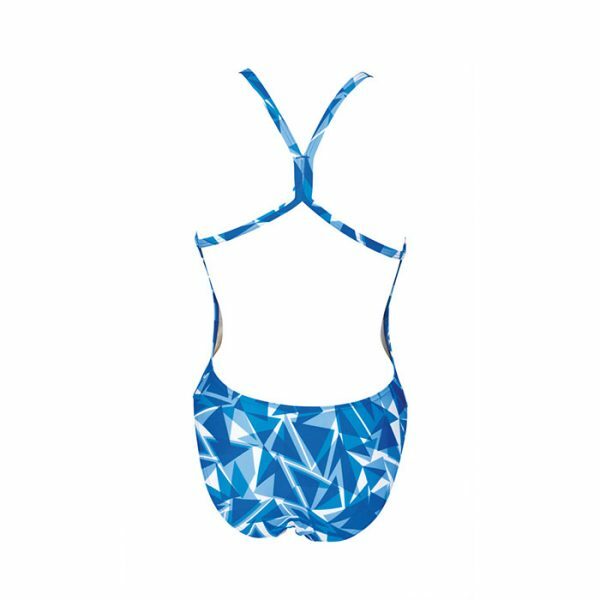 The Shattered swimsuit is especially good for regular training. 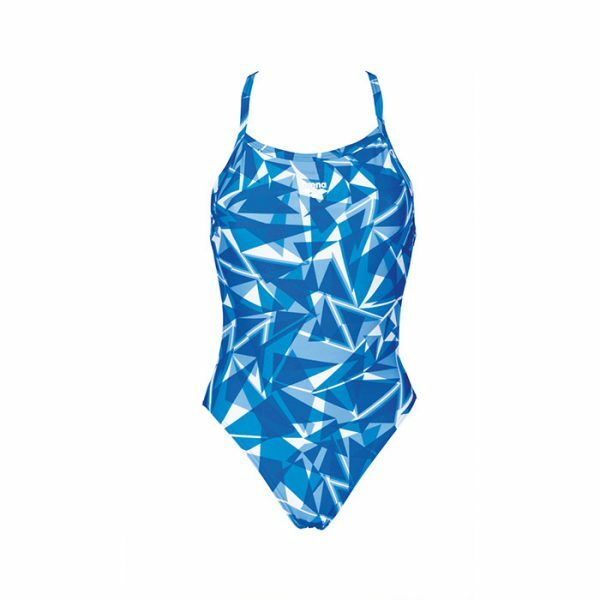 The excellent UV protection it provides make it an ideal choice for holidays and sunny swim camps. Overall a great suit! It also available in a legged version. 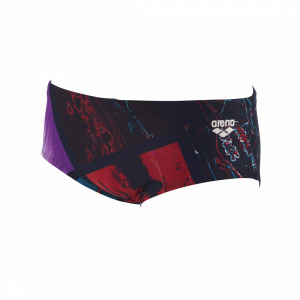 Why not team it with the LIMITED EDITION KICKBOARD?